FIVE Donegal projects are to receive Arts Council funding of more than €486,000 next year. Earagail Arts Festival will get a grant of €180,000; An Grianan Theatre will receive €105,000 while the Regional Cultural Centre will get a €125,000 boost as part of the allocation. Balor Arts Centre in Ballybofey will get €35,000 and Gweedore Winter School €41,000 under the allocation. The announcement is part of the Arts Council’s planned investment of just over €65 million for next year which will see people across the country "engage with the arts in exciting and innovative ways". 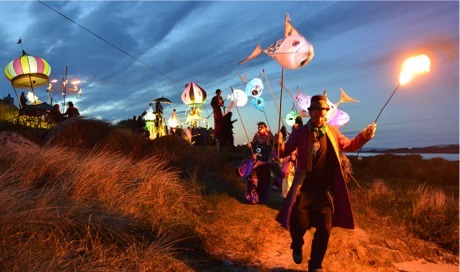 The countywide Earagail Arts Festival in Co Donegal, will receive €180,000 from the Arts Council in 2017. The investment is a €5 million rise on this year's allocation. Local authorities, individual artists, particularly emerging artists, works for children and young people and community-based arts practices are a particular focus of the Arts Council’s 'Making Great Art Work' strategy.